If there's one economic sector that supports initiatives to bring Internet access to more people around the globe, it's the retail industry. Greater Web access typically means merchants will be able to bring e-commerce services to more consumers. As many companies throughout the world are looking to increase Internet availability, retailers will have to procure more goods to deliver to prospective customers. Product purchasing and demand forecasting are closely related, as the results of the latter business responsibility typically dictate the priorities of the former. If healthy economic activity continues, the merchandising sector is anticipated to reap large benefits. 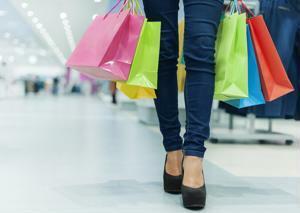 Euromonitor International recently conducted a study on the matter, estimating $19.6 trillion in retail sales by 2019. Overall, this activity is expected to be supported by a burgeoning Western European sector and Chinese trade. "Western Europe registered its biggest increase since 2008, while Eastern Europe experienced its biggest slowdown with 6 percent growth due to the conflict in Ukraine and economic sanctions on Russia," said Euromonitor International Head of Retailing Daniel Latev. E-commerce is expected to produce a third of all new merchandising sales. Mobile transactions will comprise 32 percent of Internet retail purchases. Apparel and footwear stand as the most popular products sold online. The Latin American, Middle Eastern and African retail sectors reported sales greater than 12 percent this year. Alibaba and Amazon are the only e-commerce enterprises listed in the top 15 global merchandising organizations. If companies such as Wal-Mart and Amazon continue to cater to the needs of market segments across the globe, it's likely they'll need an extra pair of eyes to help them deduce which products they're most likely to sell during certain time periods. This may be the case once these companies begin expanding operations to economies they aren't so familiar with. Research by TechNavio found that organizations typically outsource procurement responsibilities when entering unfamiliar territory, whether that involves opening new stores in previously untapped regions or acquiring goods they have never sold in the past. All in all, the firm found that the global procurement sourcing market is anticipated to increase at a CAGR of 22.48 percent over the next four years. Seeking advice from third-party professionals provides enterprises with a level of operational efficiency many of them couldn't have achieved on their own.